Slate reported on Tuesday that: “After months of unceasing scandal, Environmental Protection Agency Administrator Scott Pruitt, before Tuesday, could have been fairly described as the worst, most corrupt member of President Donald Trump’s Cabinet. Now he can claim a new title: most thuggish member of Trump’s cabinet. The EPA blocked the news organizations from attending Tuesday’s Washington meeting, convened by EPA chief Scott Pruitt. EPA spokesman Jahan Wilcox told the barred organizations they were not invited and there was no space for them, but gave no indication of why they specifically were barred. 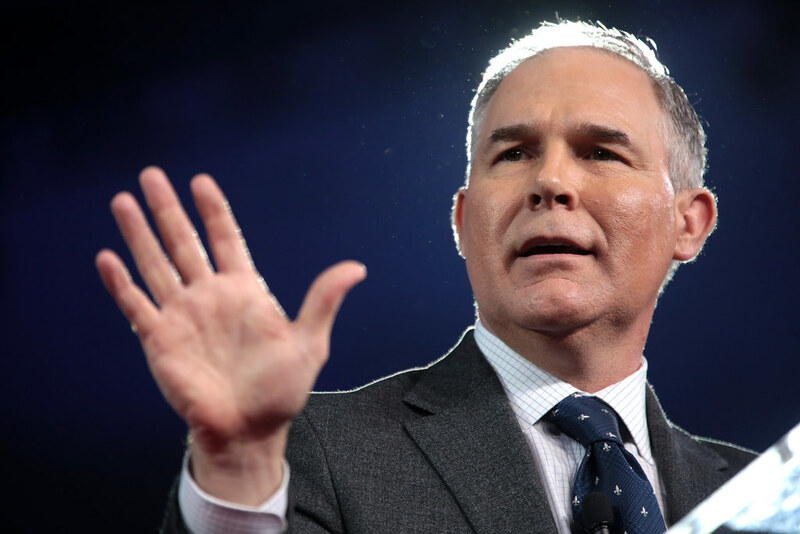 The Guardian reported that this appears to be the latest move by Pruitt’s EPA to throttle information regarding contaminants. "When the reporter asked to speak to an EPA public-affairs person, the security guards grabbed the reporter by the shoulders and shoved her forcibly out of the EPA building."